Splashworld – MAKE A SPLASH! When public swims are limited to 1 hour a reduced rate is charged. Burqini, Hijood, and Islamic swimwear. We recommend that all jewelry and piercings are removed whilst swimming. If you are unsure about this policy, please speak to a supervisor before entering the pool. Children under 10 years old must be accompanied by an adult over 18 years in the pool at all times. Swimming Caps must be worn. Caps can be purchased at reception for €2. All patrons are requested to shower before entering the pool area. All personal belongings must be locked away in the lockers provided. €1 coins are required to operate the lockers. Children 2 and under are free but are requested to wear a swim nappy. Little Swimmers are on sale at reception for €2.20. Seat-less swimming rings are not allowed for safety reasons. Children must be 6 years old to use the big slides. 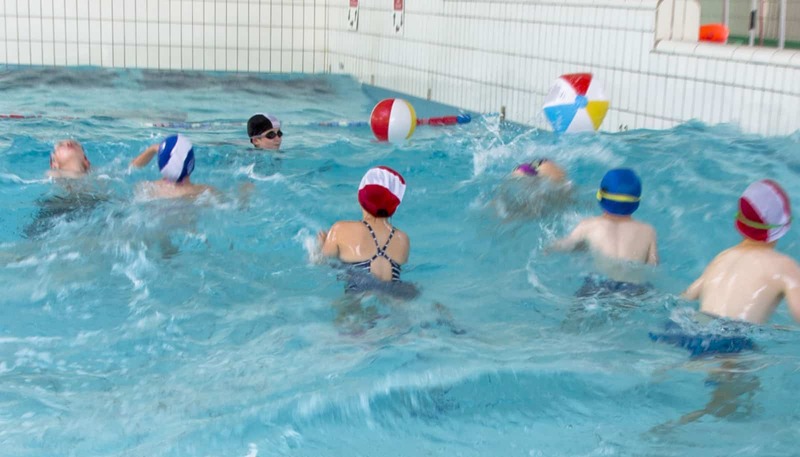 Enjoy 90 minutes of fun and games in the pool, fully supervised and entertained, by qualified lifeguards. Bring your own cake, treats, and continue the birthday party in our decorated studio. The majority of parties get hot food delivered (contact details below). Typically, a party is two and a half hours in total. 90 minutes in the pool, 15 minutes to get changed and 45 minutes in the studio. Suitable for children aged 7 and up. Cost is €9 per child. Studio rental is €15. A deposit of €25 must be paid to secure the booking. Splashworld party invitations can then be collected at reception or posted out to you. Enjoy up to two hours of fun and games in the pool, fully supervised and entertained, in the water by lifeguard hosts. Cost is €7 per child. Fully supervised by lifeguards at poolside for up to two hours. Cost is €6.50 per child. There is also a reduced rate for returning schools/groups. Groups must have a minimum of 12 people.